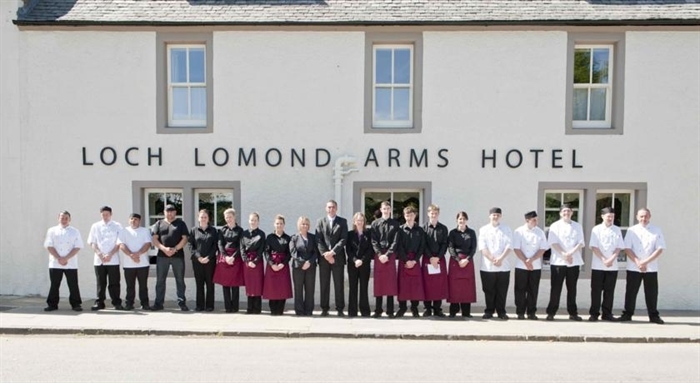 The Loch Lomond Arms Hotel is situated in the lovely village of Luss, just 24 miles from Glasgow within the Loch Lomond National Park. The hotel has 14 individually designed bedrooms, a bar, restaurant plus a private suite for weddings and events. Set in the village of Luss, this traditional inn has welcomed guests for over two centuries. Retaining charming original features, The Loch Lomond Arms Hotel offers luxurious rooms and a cosy pub and restaurant with traditional, locally sourced cuisine. At the Loch Lomond Arms Hotel, food and drink are our passions. Our menus, under the direction of Head Chef Allan McLaughlin, reflect the wonderful natural bounty of the Scottish Highlands. Seasonal vegetables, fruit and aromatic herbs are grown in our home garden; black-faced lamb, pheasant and venison are sourced from the surrounding hills; and salmon is fresh from the nearby sea lochs. Our drinks menu has been carefully developed to offer perfect partnerships with our delicious food and includes hand-pulled craft ales from the Loch Lomond Brewery alongside an enviable wine selection. Set within the Loch Lomond National Park, Luss is ideal for walking, boating and golfing. Luss Pier is a short stroll away, while Loch Lomond Golf Club is 10 minutes’ drive away. 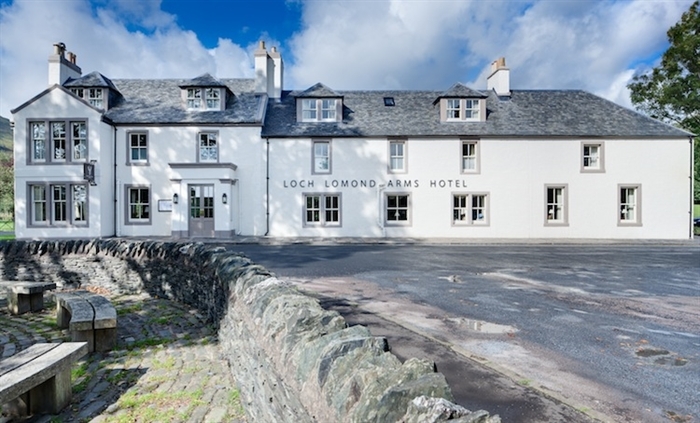 The Loch Lomond Arms Hotel has free limited parking and is 24 miles from Glasgow.